In 1090 St. Bernard of Clairvaux, a monk of the Cistercian order, was born. One of the great figures of his age, he travelled and preached widely; Cistercian abbeys were founded all over Europe. He left many writings, which included his famous treatises on humility, on the love of God, on grace and free will, and his masterpiece on the Song of Songs. 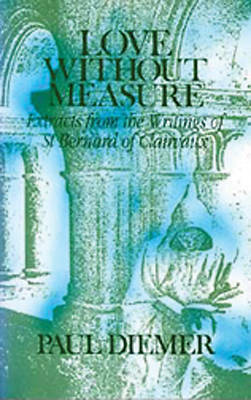 It is from these writings that this collection is drawn. Here we see, not only a compassionate, thoughtful man, not only a scholar devoted to the Bible and to the works of the Fathers, but a Christian of extraordinary vision and faith. To him God's healing power, God's love, and our acceptance of our own weakness, were central to the message of Christ.